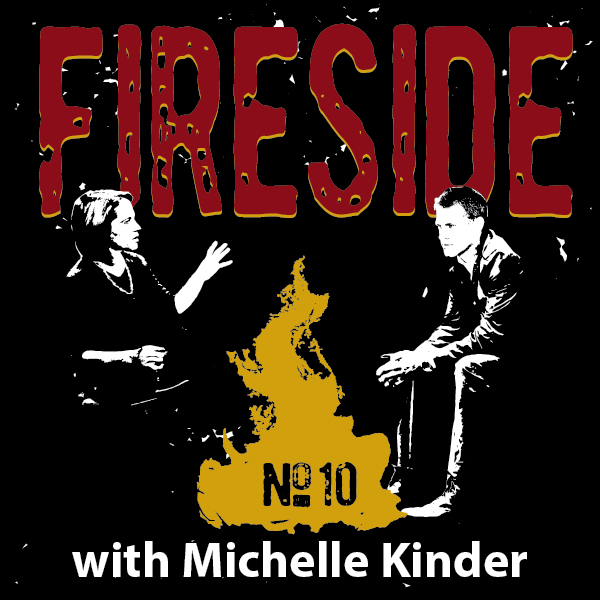 Today's guest is Michelle Kinder. Michelle Kinder, M.Ed., LPC is Executive Director of Momentous Institute, a nonprofit with 97 years’ history building and repairing social emotional health with children and their families so they can achieve their full potential. She is a nationally recognized thought leader, speaker, and writer on topics including social emotional health, what children need to succeed, toxic stress, mindful parenting, effective parent engagement, connecting with teens, the effects of trauma and violence on children, mindful leadership, emotional intelligence, and the intersection of mental health and education. 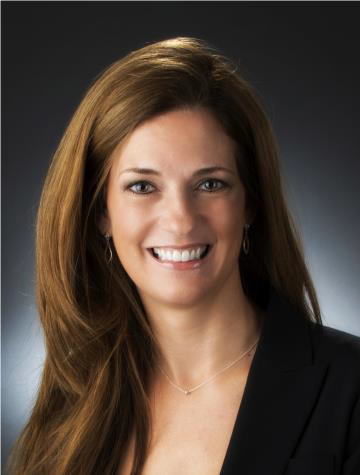 She has written numerous articles on these subjects, and in 2015 was named Non-Profit CEO of the Year by CNM Connect. In 2016, Momentous Institute was named one of the top 100 Best Workplaces for Women by Fortune magazine and Great Place to Work. In 2017, Momentous Institute was named one of the 50 Best Workplaces in Texas. Michelle grew up in Guatemala and lives in Dallas with her husband and their two daughters. Blake Leath: Michelle, I know that you’re an extremely sought-after subject matter expert on social emotional health—so we’ll get to that in a moment—but if you don’t mind, maybe we can start at the very beginning. I’d like to know a bit more about your managerial journey. Today, you’re Executive Director of a wildly impactful, tremendously well-respected organization doing really important work, but where did you begin? Michelle Kinder: I think of myself as a rather accidental leader and manager! Looking back, I can see things that drew me to different opportunities. Intuition has always played a big part, as I could often sense what was going on in the moment, what doors were opening, where I felt I could contribute, where the levers were that might enable me to make the greatest impact on kids and with the least amount of adult drama, so right out of the gate I became passionate about working with kids and their families, first as a therapist. I loved that work, and never had any grand designs or macro-level plan to leave it. I just loved being in the room with families and experiencing a mutual shaping. I presume I was offering them something, but I think they taught me more than I could ever teach them. Blake: What about these interactions made them so special? Michelle: When you’re in the room with a family—sitting with people in their truest, most vulnerable moments—there’s an electrical charge there. I consider it a really sacred intimacy. I loved those years, everything about it, from the people I counseled to my peers to the mentors who encouraged me. And everything I learned in that direct work with families has shaped me as a manager and leader. Blake: Do you consider therapy your trade? Michelle: Yes. After graduate school in Educational Psychology, I immediately began working with kids and families, then eventually some informal leadership work, then co-led the therapy team (all the while going in and out of full-time work, depending on the age of my kids), then led the therapy team for five years or so, and have now been in the Executive Director role for five years. Blake: Talk to us about Momentous Institute. What excites you about the work there, and what are you guys up to? Michelle: [Laughter] A lot, and it’s tons of fun! Our umbrella commitment is social emotional health, which is shop-talk for helping kids and families develop the capacity to understand and manage emotions, reactions, and relationships. These things are critical for everyone, but particularly critical for kids who’ve experienced the toxic stress that often comes with poverty or trauma. Social emotional health becomes a real lifeline. Pragmatically, for us we play out our mission in three ways: education, therapy, and research/training. We directly work with about 6,000 people a year and then use our research and training efforts to help far more kids than we could ever serve directly. We have Therapeutic Services for families that are really struggling and need that professional support to reconnect to their strengths and get things back on track. Further upstream, we have Momentous School, which is a lab school for kids growing up in poverty, and we bolster social emotional health in their daily lives on par with our commitment to strong academics. We have an entire staff who endeavor daily to develop and support the whole child by creating a classroom or therapeutic environment where everyone can become their best self. Which, by the way, is the same journey we are on as staff. Blake: It’s a powerful, meaningful environment, to be sure, and one that everyone agrees is doing essential, impactful work. It would be hard to argue that you’re not changing lives—and society at large—by catching youths in those formative years and heightening their trajectory. Michelle: The direct work we do with kids and families is our core, our heartbeat, but we utilize all of it to do research and learn everything we can about a population that's under-represented in the research in the field of education and mental health. We then share our findings as best we can through articles, trainings, or presentations at conferences. Blake: A rising tide that raises all boats. Michelle: “Help the kids you’ll never meet,” is the direction we received from the Salesmanship Club, a group of business leaders that owns and operates Momentous Institute. This extrapolation—through writing, training, conferences, mentoring, even consulting with entire school districts across the United States—enables us to help and serve far more kids than we could ever serve directly. Last year alone, our team offered some sort of social emotional health training to 10,000 educators, mental health professionals, and decision-makers. When you calculate how many kids those 10,000 adults serve, the math gets pretty heady pretty fast. In no way do we think that attending a training program with us is definitely going to change the behavior or mindset of everyone we train—but we are encouraged to be swimming in a bigger pool in regard to the number of kids’ lives that might be impacted—far more than we could ever serve directly. Blake: I find this really inspiring. Many societal issues can feel daunting and overwhelming—we might all feel rather helpless, sometimes—but you’re not only equipping kids and entire families to pull themselves up by their boot straps, but also showing us how it can be done at scale, by impacting professionals and educators who, in turn, impact more and more families, kids, entire generations. Michelle: Well, I don’t know that I would think of it quite that way. When you look at issues contextually, the idea that “pulling oneself up by their bootstraps” is the way to a brighter future kind of ignores the societal and historical factors and decisions that have created a lot of this trauma and toxic stress in the first place, and disproportionally so for people of color. We work hard to be informed by the science to help build strong coping in each individual we work with—strong social emotional health. But that is only part of the story; the more interesting story is the reckoning we need to have as a country related to how we are creating so much toxic stress and trauma for kids in the first place. Blake: Agreed. Now, you’ve mentioned a few things that intrigue me—understanding emotions, reactions, relationships, the toxic nature of the stress of poverty…can you unpack this a bit more? What is it that kids experience, what ages do you serve in the lab school and in Therapeutic Services, and what can we learn as adults from what you’re learning with kids? Michelle: The kids at the lab school are 3-years-old through 5th grade. The kids in our therapy services (which are by-and-large completely different kids, though there’s some overlap) are prenatal through 15-years-old and their families. As you can imagine, these families are experiencing a tremendous amount of day-to-day stress related to fundamental issues like, “Am I going to keep my job? Can I feed my kids all week?” We also see a lot of generational trauma—which is different that situational trauma. With generational trauma, the sources can range from loss to abuse to incarcerated relatives to sometimes living in a neighborhood where it’s not safe to go outside one’s home. And the missing ingredient for many who have experienced generational trauma is hope—the belief that the future will be better than the present. Without hope, it’s really hard to generate the energy required to navigate challenges successfully. It’s one of the things we do here: Choose hope, inspire hope, and spread hope. At the risk of sounding controversial, there are some escalations in 2017 related to toxic stress and trauma. The political climate and divisive tone and tenor can impact vulnerable families the most. We’re hearing more and more from our families about the impact of this climate of fear, especially among marginalized groups and people of color. Blake: Can you personalize generational trauma and toxic stress for us? Give us a real example so we can visualize it? Michelle: One time we did a home visit with a family (and we’re always so very respectful and committed to honoring the dignity of those we serve, so we’re trying in the most delicate way possible to understand what sort of needs the dad—in this case—or his family might have). We see that his children, including the older ones, are sleeping in play pens. Anita, one of our social workers, gently inquired whether beds for everyone might be a welcomed resource. “Absolutely not,” the father said, “Our children are safer in the play pens; they are lower to the ground in case there’s a stray bullet.” You learn pretty quickly that this is a whole different ballgame, with wonderful parents desperately trying to get their children to their 18th birthdays. It’s humbling, depressing, and emboldening…all at the same time. Blake: Gulp. There really are no words. Michelle: It can be heartbreaking, yes. Blake: How does Momentous do intake? Is there an evaluation or assessment process, a series of interviews, some combination thereof to determine who and how to help? Blake: But where do you start? How do you meet kids and families where they are; what’s the process? Michelle: First, we get a feel for what they’re dealing with, then pair them with a therapist who can do a brief assessment so we can triage any immediate crisis or life-threatening situation. Sometimes there’s nothing life-threatening, per se, but rather, a child who’s made a recent outcry related to sexual abuse, in which case we know we have a tight window during which to make changes; handling the near-term, so we can buy time to focus on the long-term. No matter the situation, we hope they experience total respect from us, and a deep desire to learn from and understand the family's perspective and then build on what’s working well so we can bring them into a zone where they can experience success. Blake: How does this differ from the traditional mental health approach? Michelle: Traditional mental health work often zeroes in on the problem and dissects it to get a better understanding for diagnosis and then recommendations. We come from an approach that instead looks for those exception moments, those strengths that a kid or family possesses, and then we find ways to build upon or expand them. I think of it like quantum physics, what you pay attention to expanding. If you focus on the problem exclusively, you get more problems. You can get big bangs from tiny particles of success. We figure out how to tap their energy and expand it within the kid and the family, ultimately equipping and supporting them to become the changemakers in their own community. Blake: Interesting. Sounds a lot like what we see with great managers…. Michelle: There’s a completely parallel process for how we aspire and hope to be working with our colleagues that also opens up space for them to step into their strengths and step into the rough spots and sort through them constructively. A great therapist or manager has to be capable of helping individuals, families, teams, or whomever improve how they “show up,” and that includes getting better at working through a mistake or challenge. Blake: In your work at Momentous, have you ever been asked to speak about the applicability of social emotional health to adults and leaders, or is it primarily about families and kids? Michelle: Great question. It’s interesting. Probably one of our Top 5 most requested topics is emotionally intelligent leadership, which draws from everything we’ve learned from working with our families, but also each other, and distills it into concrete strategies people can apply to work settings. Blake: So it’s completely transferrable. Michelle: Completely. It’s all transferrable, because we’re all people. Everyone has colleagues, or reporting relationships, and the opportunity to act and react from a place of generosity of spirit, of strong social emotional health. If we're not managing our own emotions and reactions and relationships, we can fall short, so there’s an opportunity there. Internally, at Momentous, we spend a lot of time thinking about what does it mean to hold ourselves to the same standards, or to even higher standards, because this is who we are, our identity, our brand; this is who we aspire to be in the world and, as a result, we feel called to create space for other people to step into strong social emotional health in the world also. You can't advocate for social emotional health and emotional intelligence and be a jerk! They’re out there, though, and we certainly all have moments—but it’s totally off-putting. Strong social emotional health requires congruence and authenticity. Blake: I don’t want to rob your bank, but for the benefit of our readers, would you mind outlining some of the social emotional principles, or traits, that you see in evolved managers or leaders? Michelle: Sure, but I’m just gonna freeform this, so please chime in. One of the basics is the capacity for self-regulation, the ability to be aware of our impact on others and modify it as necessary. For example, blustery power, where a leader behaves like, “I’m upset, so everybody hop-to.” This is not emotionally intelligent leadership. Self-regulation requires the individual have the capacity to track back to what triggered them in the first place, then possess strategies to calm themselves down before making a decision or taking action. When we teach self-regulation to kids, we use a snow globe or glitter ball, teach them about their amygdala, fight/flight/freeze modes, and “settling their glitter.” When something triggers our glitter (amygdala), we can’t see clearly, we can’t read a situation effectively, so we have to learn how to settle our glitter before we can behave rationally and wisely. Only then can someone step back into the conversation or situation as their best self. You’ve heard people describe managers or leaders as the thermostat versus the thermometer. A lot of leaders walk around, take the temperature of the place, and just react to it like a thermometer. The social emotional person is the chief tone setter, or thermostat, not the reactor or amplifier. It’s essential for a manager to create space where employees can work innovatively, creatively, completely free of fear. I’m a big believer that if people are fearful, on any level, you can’t get their best work, much less their best self. If you’re lucky, you’re getting perhaps 60% of someone, because the other 40% is devoted to not mis-stepping, to watching their back. Blake: How are you doing this in practice, creating an absence of fear? Michelle: We embrace the fact that something is going to go wrong every single day! Sometimes it’s just a little thing, sometimes it’s a big thing, but it’s all part of life. The question isn’t will something happen, but how will we show up when it does? It’s not about holding one single person accountable, or laying blame, but asking ourselves how do we show up in the midst of a mistake, relate to it, be transparent in it, self-reflect through it, show a desire to learn and grow from it, and endeavor to not make those sorts of mistakes over and over again? That’s what I’m interested in. We don’t welcome mistakes that are born of apathy or ineptitude. We welcome mistakes born of innovation, passion, and just the reality that we are human—mistakes that happen because you have invested in creating the conditions of a true learning environment. Blake: What else? Other principles, or traits? Michelle: One that really helps me is nurturing genuine curiosity. Socially emotionally intelligent leaders enter every conversation, scenario, relationship with genuine curiosity, trying to see situations with fresh eyes. Draw out the wisdom of people around them, versus seeing everything through traditional filters or with traditional pressures. It requires not asking questions just to get the answer you want, but opening yourself up and overcoming preconceived notions. That opens up whole layers within people and within systems, the result often being that you find an entirely new frequency. As Executive Director, I see one of my primary jobs as getting out of people’s way, of not impeding the signal to this frequency. It requires everyone feeling heard, seen, understood, invested in, and free to make mistakes. Blake: Very interesting. Hearing you talk reminds me of a couple articles I’ve read recently, one of which described The Student of the Future, the other being about The Employee of the Future. What they share in common—in a Google and AI reality—is the ability to intuit, to communicate, and to relate. Finding and processing information is less and less the issue; the driving undercurrent is interpretation, reading between the lines, and finding ways to socialize that information so it’s meaningful and well-received by others, all of which requires we not stand in the way of the signal. Michelle: I think social emotional health is a real differentiator. My husband and I have two teenage girls, but we minimize the attention we place on grades and achievement for achievement’s sake. It’s not that those things are unimportant; they are just hyper-emphasized in our society in ways that can often be very hurtful to kids. We are far more interested as a family in how we manage our emotions, how we communicate, how we empathize, how we are optimistic, grateful, how we persevere, how we take information and play with it and take it to new levels, new spaces…these are things that come up every single day. In this Google era, knowledge is not the differentiator—social emotional health is. Michelle: Ahead of his time. Blake: I worry, though, not just about this incongruity between what we measure and what matters, but also the environment of higher education itself, to say nothing of what we’re seeing with regard to helicopter parenting—safe space if there ever was one—but also the decline of work ethic. I’ve stumbled across so many great articles lately, from why law schools welcome speakers with opposing views and liberal arts schools do not, to the decline of summer jobs among American teenagers. At the end of August, I read that fifteen years ago 60% of American teens had summer jobs, and in 2017 only 35% did. It’s a massive decline, attributable in part to select sports, volunteerism, and teenagers padding their resumé with activities—not work—that differentiate them from their peers as they prepare to apply to college. Something about it feels very amiss, screwing up the means and ends, particularly in light of how many kids graduate with unpayable debt, only to find themselves back at home, living off their parents, and riding under their insurance. From a social emotional health point of view, I can’t help but think that as excessively helpful parents we are creating a generation of helpless young adults. Blake: I think of a pearl. It’s the only gemstone that is the result of a living organism’s response to friction. At the very time in history when we need our kids to be the most capable and equipped to deal with differences of opinion in the public square, perhaps we are creating bubble-wrapped kids who will be less equipped than any preceding generation. How do we turn this tide? Michelle: By equipping young people, families, managers, leaders, educators, mental health professionals, deciders, anyone in positions of influence…which is everyone! We should each be eager to positively influence others within our sphere. We can’t be so focused on achievement that we lose sight of contribution. Life is not zero-sum. We all have a part to play, and by doing so we create more and more abundance and opportunity for everyone involved. As parents, we can’t be so ego-driven that we derive our joy from this outcome or that, whether our kid goes to this college or that one, or at all. Our kids don’t exist to make us feel good about ourselves. We should be much more focused on spirit, and deep connection with the actual child in front of us. It’s important to quiet the voices from external forces and actually parent the child in front of us. We have to trust that each child has come into the world with something they’re meant to do, not unlike a leader who is called to create an open space within which others can contribute and reach their full potential and become their best self. Teaching children and others to build capabilities around stuff like managing their emotions, being optimistic, being empathetic, caring about and contributing to one’s community. This is where I spend my energy as a parent: Teaching our kids character traits that are non-negotiables in our house. We never argue about broccoli, we rarely argue about grades. Instead, we talk about perseverance, stick-to-it-iveness, finding and following passion, being a change maker/contributor and showing up as your whole self when something's in front of you. These are the deeper threads, as opposed to the external veneer that people get hung up on. I try not to get hung up on whether my daughter brushes her hair; I get excited about the fact that she’s an awesome kid, that she stands for something, that she’s capable of great things, that she’s loved and loves others well in return. All the rest is just paint job and distraction and superficial. Our aim should be to raise kids who are socially emotionally healthy, part of which includes determination and grit, so that as they are loosed on a world rife with disagreement, they will be positive influencers, scrappers, doers, and difference makers. Blake: Absolutely! In our relationship with Lauren, our 15-year-old, we try to provide her as many opportunities as we can, from film camp to cheer camp to community service projects to babysitting gigs to craft fairs, but along the way she identifies what she likes, doesn’t like, and the more and more she finds things she enjoys, she gets really fervent and passionate and committed to them. We don’t impose our own interests on her, but encourage her to find things she can get excited about, and eventually make a contribution toward or a difference in doing. Michelle: And what does she enjoy? Blake: She loves people, and film, and storytelling, and sewing, and lately she’s gotten really interested in criminal psychology! Loveable kid by day, crime-fighter by night! We get a kick out of it, thinking her paths could be as divergent as nurturer, homemaker, entrepreneur, psychologist, pathologist, medical examiner, criminologist, or none of the above! At this age, it’s just a complete mystery. I just want her to be a happy, well-adjusted, purpose-driven, contributing member of society. Whatever form that takes. Michelle: That’s awesome. I love that. It’s great that you’re getting out of the way and letting her become. Blake: She’s a neat kiddo. Huge heart. And there’s a thread that runs through all her interests: She’s always really insightful about understanding people’s motives. Her love for TV, then movies, then film camp led her to say, “I like understanding the motive behind the story, like what compels the actors to do what they do in that scene.” Over the next eighteen months or so after a particular film camp, she began dissecting her interests, then getting pretty interested in whodunits. As I see it, the world needs good people—advocates—to solve bad crimes, so why not? Hey, listen, I want to pivot a moment though and talk politics, then we’ll drive this thing home and conclude. Are you up for that? Michelle: I can’t think of a conversation I have these days that doesn’t turn to politics. Right? Blake: Does social emotional health have a place in politics? Michelle: These are tough times, divisive times during which one’s point and facts matter far less than the narrative around them. I’m afraid much of what we’re seeing is one long echo chamber in which civil discourse is abandoned or polarizing. Blake: I read recently that we’ve entered a time and space where conflict is not simply conflict, but rather, “sacred conflict,” very tribal, in which case the opponent is not simply someone who disagrees, but rather, is someone who is always “evil.” In sacred/tribal conflicts, there’s no intellectual debate. Issues are not resolved based on merit, but rather, each side simply water-cannons the other! “Those people are idiots!” I see it getting worse, not better, and have to believe that social emotional health—or the absence thereof—is at the heart of it. Michelle: I’m confident our nation, and civilization, will move past this. I continue to be optimistic, because more and more people who might have bitten their tongue are willing to step into the light, to the public square, to advocate for what they believe is right. You know I’m a political person, but not for politics’ sake; we are all political if you think about it. We can’t make it a bad word to stand up for what you believe. During the last election cycle, it seemed there was almost a total absence of real issue-focused discourse; that woke me and many others up. If you are here in service of a cause, it bleeds into the political space, because decisions made in the political sphere have massive impacts in the lives of kids and families. We have to be willing to advocate for things we believe to be right, to invest money in or sponsor organizations or causes that we believe should be more involved in the community. I think anything each of us can do to fill the space with renewal or resurgence of positive public activism would be great. I’m hoping 2017 marks the death of the silent majority. Blake: Well said; I agree. Michelle: For whatever negativity plagues modern politics, if there’s a silver lining it is the level of renewed engagement and awareness. I don’t know about Lauren, but our girls are more interested in politics than I was at their ages. That’s a gift of the times we live in: A generation that has their lens on political and social activism. Speaking for myself, maybe the last generation or two was sort of checked out, politically, but it feels now like more people are getting off the sidelines. What one person might see as the fraying of civility, I see as having the potential for a creative destruction. A more hopeful generation may rise from these extremes, a generation that more generously welcomes diversity, and appreciates it. If we’ve been through, say, fifteen years of incremental change, maybe fifteen years from now we’ll experience quantum progress. I’ve been in a lot of rooms where I’ve seen conflict percolate to the surface, then see someone with high EQ navigate it, bring out the best in both parties, help find mutual ground, then leave people feeling ownership, engagement, constructive disagreement, polite and respectful differences of opinion and discourse. If that can happen in families and organizations like yours or mine, why can it not happen for our country? I feel encouraged when I think of it that way. It gets me out of the fetal position. Blake: The key is to keep at it, right? Grit. To not quit. Michelle: Right. Everything I just described presumes that people engage. If, instead, they throw up their hands, check out, and lose hope, then we’re on a completely different path. A downward spiral. We all have to wake up, stand in our truth, and use our power for good. Blake: Reflecting on your career—which I know has many chapters left to write—can you share with us your peak events, and career lows? Michelle: My peak events are much subtler than they used to be, which is very rewarding. These days, I’m jazzed by growing our people, and actively looking at how do we pour into every single person on our team, professionally and personally. How do we become more nimble and creative through an organizational structure that allows everyone to flow? I’m really energized by the long-haul, by expanding our base of talent and team so that everyone is sustained—not just for their career here, but lifelong. I’m really interested when people on our team have a crystalizing moment where you can see them step up and into the next version of themselves; when you can feel it. As I look to the future, levers for change are what really capture a lot of my attention and heart. Our team has lots of skill, talent, passion, intuition, guts…we’ve pushed into territory within three years that everyone thought would take fifteen. But constant growth at that pace is not sustainable, so if I’ve had a valley, it’s been worrying that I may have sometimes pushed too hard, too far, too fast. I think where we are right now is focused on making sure we have the right foundation and structure in place so that we can help everyone be their best self, while also preparing to help more of those kids we’ll never have the privilege to meet personally. Blake: So maybe your visionary leadership is needing to take a backseat to managerial best practices? Michelle: Exactly. Not unlike with our children, organizations go through developmental phases. We are closing one of tremendous growth and vision, one where we successfully reintroduced ourselves to the community and began establishing a national platform to continue raising awareness about the importance of social emotional health. Now we are entering a developmental phase where we turn inward a touch more and ensure that the integrity of what we are doing and what we are learning is sustained. And make sure that we are protective of the talent that pours itself out daily in service of the community. We’re focused now on shoring up the discipline required for any one of us to step out of our seat and still see the vision move forward. For this recent burst of success to be sustainable, we need more focus on the undergirding, not just the white-hot passion! Blake: I once had a mentor caution me about the seductiveness of saying Yes, when sometimes the right answer is No. Michelle: I love that. My mom told me years ago, “Whenever you say yes to something you are saying no to something else.” We spend a lot of time now making sure that whatever we’re doing is something we can build upon, versus it just being one amazing heyday. Blake: Listening to you talk, I’m reminded of the fact that after all he’d done, Oskar Schindler regretted what more he could have done. Momentous has accomplished so much, and been so impactful for nearly a century, but do you ever wish you could do more? Michelle: Every day. Literally, every day. It’s always a race against time, because one never knows how many more people’s lives are hanging in the balance, how many starfish you might help, right? It’s a huge internal driver for all of us, but the best way to help the most kids is through a system—a scalable or multiplicative or geometric system—where we can help people who can, in turn, help more and more people. The vision is not to create dozens of Momentous Schools or Therapy Centers—that’s why we are a lab—but to the extent we can learn what works, then share that with others, maybe we can help that many more kids and families now and forever. The trick is pooling our passion and vision, then pairing them with a strong undergirding of systems, discipline, and strategic planning so the entire airframe gets lift and gets somewhere. Blake: If the last couple chapters were about brand identity and vision, it sounds like the next chapters are about sustainability. Michelle: Which is only possible through rich management. We’ve decided a number of things, and now we just need to do them, and better, and not get seduced or enchanted by far-off things in distant lands. Instead, we have to be great stewards of finite resources and human energy. To springboard off your love of movies, we don’t want to be Thelma and Louise, driving off the cliff at 80 mph! We are incorporating discipline and structure, but without quieting our passion. Blake: No doubt; making that transition from pioneering to settling and governing. After capturing the land, we gotta learn to manage it, otherwise it’s not sustainable. Michelle: When we grew so fast, exponentially really, there are ways we lost sight of the impact that change had on our own internal culture. Now, I’m much more mindful of that, focused often on our strengths—just as we do with our kids and families—and attending to those strengths for the future. Blake: What advice do you have for employees or followers who may feel like their organization is changing too quickly, or possibly even about to go off the rails? How do I show up and speak for myself? Michelle: I think one thing that makes a colleague hearable versus unhearable is whether or not they are ascribing intent to their concern, so when an employee has baked in a narrative of what they think it means that X, Y, or Z is happening and it’s a negative one, well, it’s much harder to listen to it. We have to open our heart and ears to what someone is really trying to say, and the employee has to be willing to stay in a looser headspace around what it means that X, Y, Z is happening. If we understand they are just generously offering a layer of insider awareness and they want to be part of the solution, the message is far more likely to be heard. I like the quote, “When someone complains, they’re trying to tell you what they care about.” Holding the conversation in that spirit, among both parties, makes things far more hearable, even if we’re in firefighter mode. We often under-attend to certain things because we are over-attending to others. Anytime a colleague can dial-down the ascribing of intent and give their manager or leader the benefit of the doubt, and vice versa, communication goes way up. “They’re really busy. I bet that’s why this is off their radar” gives people more empathy, allows them to recalibrate, and not discount the other person involved. Especially when someone is in firefighter mode, their narratives are locked; they’re negative because their back is arched up. It’s just human nature. Blake: We judge others based on their behavior and ourselves based on our intent. Michelle: That’s it exactly. And if someone is overloaded, well, it’s even worse. Someone overloaded is looking for an out, so anything the other person can do to open up the channels of communication and be seen as an ally rather than a threat, the better it is for everyone involved. Blake: This has been a great conversation, Michelle. Thank you very much. Any final words of wisdom for our readers as we part ways? Michelle: Leadership isn’t about a title, it’s about showing up with social emotional health, actively pursuing learning and contribution, and pouring into the people around us so they can do the same. Blake: And if people want to learn more about how to do this, where should we point them? Michelle: To momentousinstitute.org or to our Changing the Odds Conference. Anyone who cares about kids is welcome to attend—in person or online, and every year we have about 1,600 educators, mental health professionals, decision-makers, and parents. It’s two full days of keynotes. We’ve had Kevin Carroll, Malcolm Gladwell, Brené Brown, Bryan Stevenson, and next year our theme is Belonging. People can register anytime, but it can fill up fast, so encourage them to hustle! Blake: What will they find if they participate? Michelle: The Changing the Odds Conference is designed to be inspiring, but also to shake-up people’s preconceived notions. Our speakers offer thought-provoking analysis—that isn’t always comfortable or easy—while also offering hope.